Carlson, a global hospitality and travel company, announced that it has signed four new hotel management agreements in China. This was announced by Hubert Joly, president and chief executive officer, Carlson, at the annual China Hotel Investment Conference in Shanghai today. The four new signings bring Carlson’s China portfolio to 25 hotels, including 10 in operation and 15 under development. “We see strong growth potential in China. Today’s four hotel signings are well aligned with Carlson’s Ambition 2015 plan to have more than 1,500 hotels in operation globally by 2015,” said Joly. “China is one of Carlson’s most important focus markets in Asia Pacific and we are investing into business resources and talent capability that will make us one of the most successful hotel operators in the country,” said Simon C. Barlow, president, Carlson Hotels, Asia Pacific. “The four hotel agreements that we have signed today are a good indication of our development plans for China,” added Barlow. • The Radisson Blu Resort Baoting which is Carlson’s third property in the Hainan province. The 300-room hotel is owned by Beijing Chun Guang Investment Group. The resort will be developed within the Yanoda Rainforest Cultural Tourism Park and is in close proximity to other top national tourist attractions such as the Qixianling National Forest Park and the Qixianling 18-hole golf course. 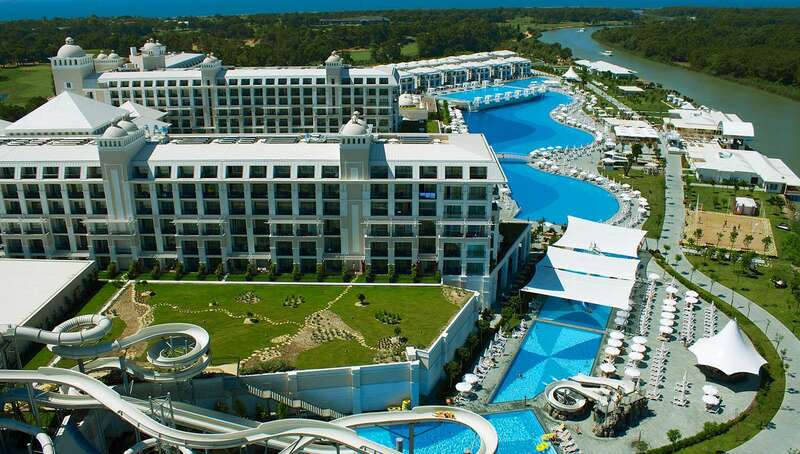 The resort is scheduled to open in the third quarter of 2013. • The Radisson Blu Plaza Hotel Hangzhou Xiaoshan which will be in the newly established Xiaoshan area of Hangzhou city. Owned by Zhejiang Wanxiang Real Estate Company Limited, the 230-room hotel will comprise 23 suites and 207 rooms. The hotel will feature a Chinese restaurant, a specialty restaurant, a lobby lounge and bar, a ballroom, 10 meeting rooms, a business center, a swimming pool and a fitness center. The hotel is scheduled to open in the first quarter of 2015. • The USD 60 million Park Plaza Ordos which will be built at the Yixing International Commercial and Trade City in the Dongshen district. The hotel is owned by Ordos Yixing Group and will be part of a mixed-use development comprising high-end residences, offices, commercial facilities, a golf course and an entertainment complex. The 250-room hotel will comprise 10 suites and 240 rooms. The hotel will offer a wide range of dining options including an all-day dining restaurant, a Chinese specialty restaurant, a Western restaurant, a bar and a lobby lounge. The hotel is scheduled to open in the second quarter of 2014. • The Park Plaza Shenyang Hunnan which is Carlson’s second hotel agreement with Shenyang New Times Hotels Company Limited in China. The owning company has invested USD 120 million in the Park Plaza Shenyang Hunnan and the Radisson Blu Plaza Hotel Shenyang Hunnan, which is already under development. The Park Plaza Shenyang Hunnan will be in Shenyang’s central business district, near the Shenyang exhibition center and sports stadium. It will be a mixed-use development comprising the hotel, a cinema and a gaming center. The 362-room hotel will feature 18 suites and 344 rooms, as well as an all-day dining restaurant, a lobby lounge, a fully-equipped business center, 24 meeting rooms and a health and spa center. The hotel is scheduled to open in the second quarter of 2013.